Terrain description Sprint: Large residential area with numerous identical apartment buildings. The area has a school and a large recreation center with playgrounds. Approximately ½ of the race will take place on firm ground, the rest on grass. Middle and Long distance: The terrain is highly relevant for WMOC 2018 and typical for North Zealand, moderately undulating, comprising regular areas of coniferous and deciduous trees. In March the terrain is generally easily runnable with good visibility. The forest has a regular network of forest roads. Training possibilities From 16 to 23 March several attractive training opportunities are offered in the nearby forests. The trainings are with various challenges and course lengths. All controls have reflectors, so courses can also be run as night training. More info on www.danishspring.dk. From 24 March to 28 March you can participate in Påskecup. 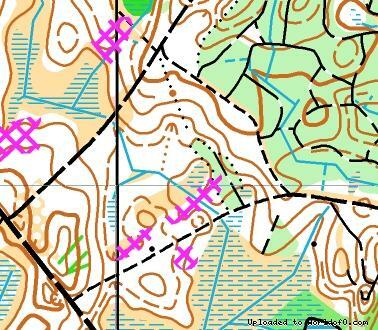 4 small competitions in the forests near Helsingør all with relevance to WMOC 2018. Or a 3-day Easter event around Kolding, Jutland.